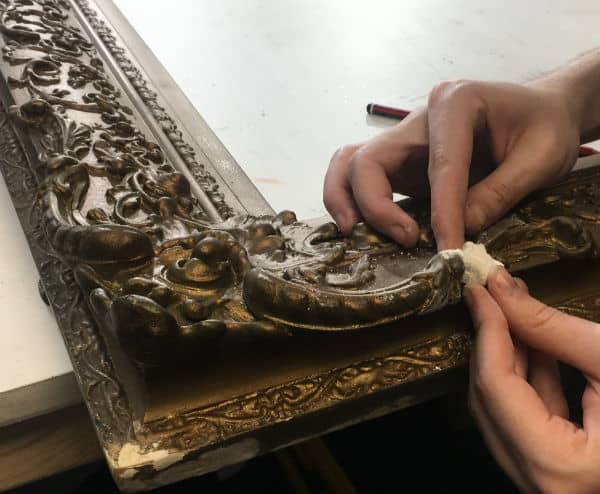 Every antique frame we restore in the studio has distinctive decoration. They are each unique and have ornate features and complex surfaces. When a frame is damaged, it is a natural assumption to believe that broken or missing decoration can’t be replaced. We regularly re-mould such areas that have been lost. 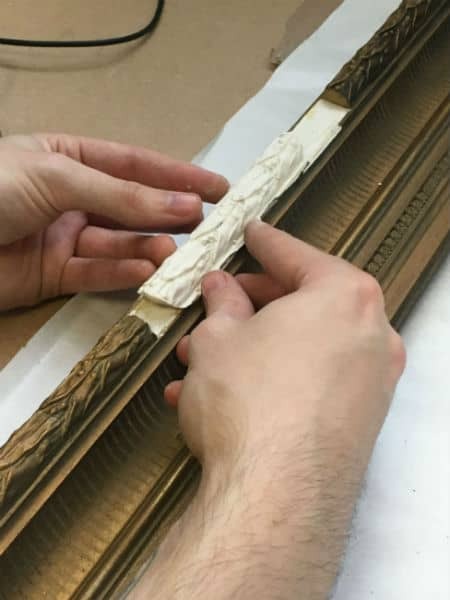 The objective in doing so is to achieve a seamless integration between the antique frame and the new moulding, so that it is impossible to notice any damage. 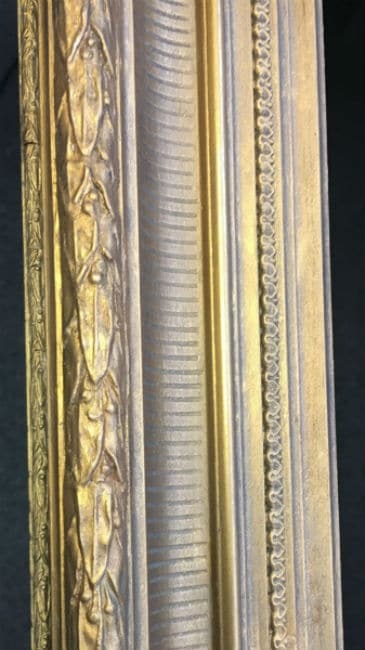 Once a frame arrives in the studio, we’ll make an assessment of the missing areas, the material of the frame and its distinctive decoration. The majority of the frames we work with are made from wood. 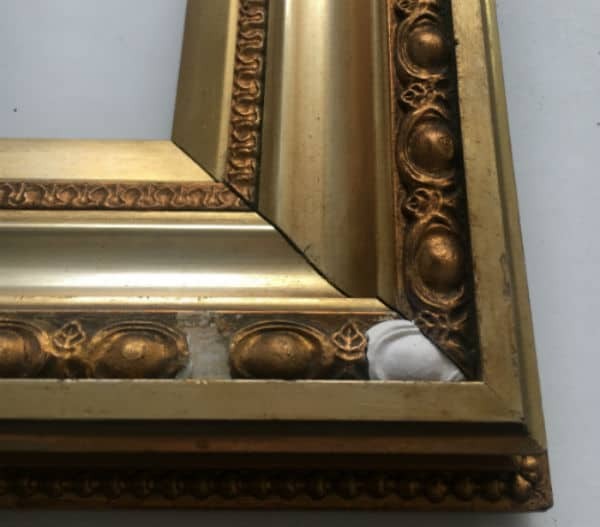 To properly replicate the pattern of the frame, a putty mixture (commonly epoxy putty), is created and applied to an intact area of the frame with similar decoration to the lost area. Once this has properly set, another mixture comprising casting powder and water is made. When the correct ratio for the desired density is found, the casting powder substance is added to the putty mould. This is then left overnight. During the testing phase of re-moulding, the casting powder mix can be removed earlier when it is more pliable to create a different shape. A suitable and correct mould will share the specific characteristics of the existing frame, replicating the dimensions, surface patterns and complex features. Once the trials have concluded and the mould has been created, it is ready to be set. 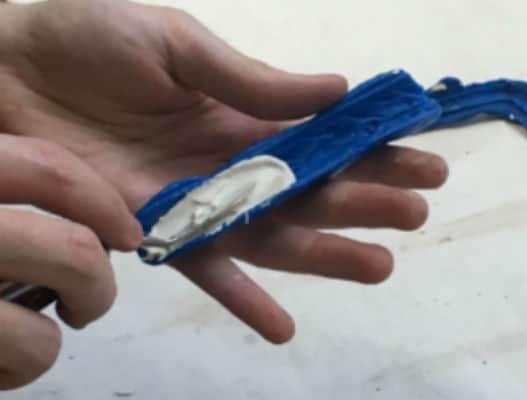 Conservation standard glue is applied to the area where it will be affixed – hatched marks grooved into the new mould and existing frame offer extra sticking power. If any hairline cracks are present at the join, filler can be applied where necessary. The newly moulded section will then be matched accordingly in colour to the frame. 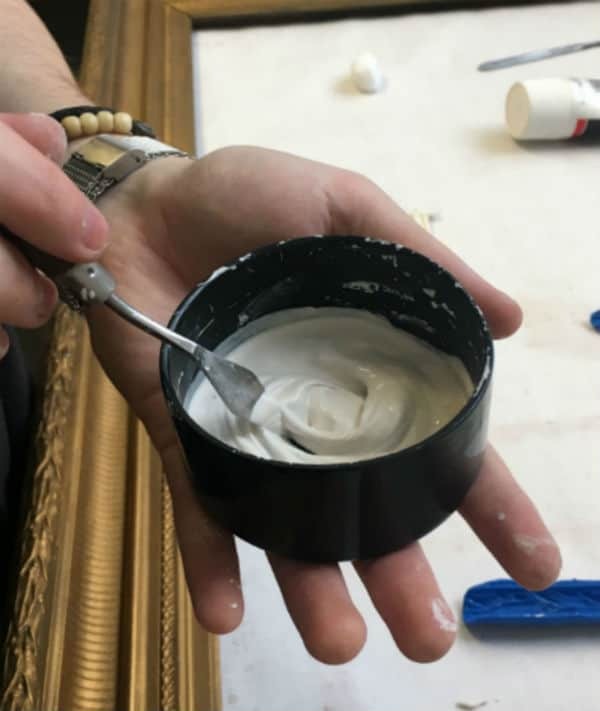 In some cases this will require re-gilding, for other frames gilding cream or conservation paints will ensure a uniform finish. 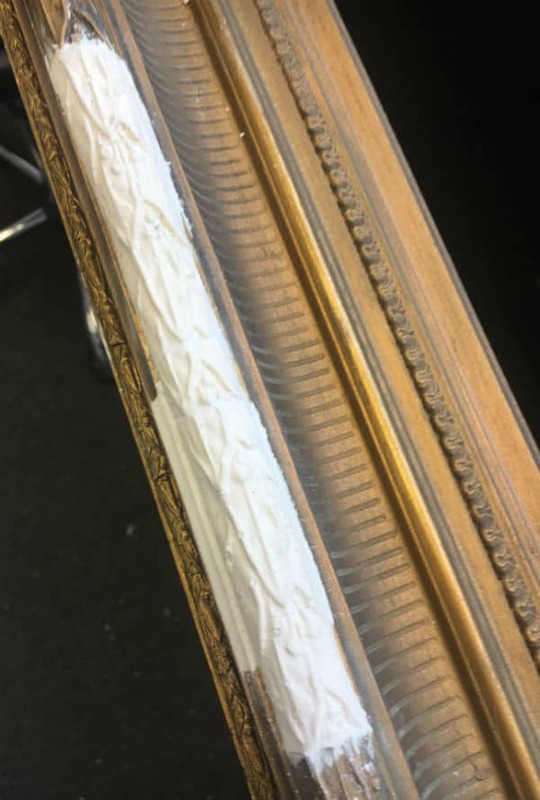 After the remoulding and restoration is complete, your artwork can be enjoyed once again knowing that the frame can complement your painting both structurally and aesthetically. 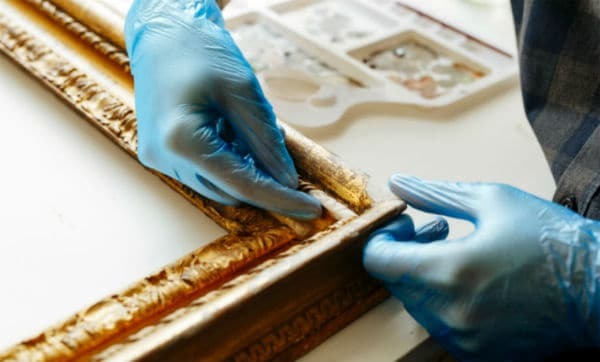 See Picture Frame Restoration and Gilding for more information on our services, or if purchasing a new frame is preferable, our Framing Options page provides more details.